Many teenagers today do not understand the value of income and spending money. They are not oriented that investment is needed even if they are still students. As a parent, you play an important role in this field. You must be able to teach your children how to save money. They must be able to understand the concept of money and investment as early as childhood. This will prepare them to learn about money management, as they get older. 1. Your children must be educated about the meaning of money. After your children learn to count, it is the right time for you to teach them the true meaning of money. You must be consistent and explain to them in a simple way and often do this so that they can remember what you taught them. 2. Always explain to them the value of saving. Make them understand the importance and how it will affect their lives. It is important that you entertain their questions about money and you should be able to answer them immediately. 3. When giving them concessions. You need to give them concessions in the denomination. Then you can encourage them that they must save certain bills for the future. You can motivate them to do this by telling them that money can be saved and they can buy a new pair of shoes or toys they want after they can save. 4. You can also teach them to work for money. You can start this in your own home. You can pay them fifty cents to one dollar each time they clean their room, wash dishes or feed their pets. The concept of making a little money will make them think that money is something they have done and must be expended wisely. 5. You can teach them to save money by giving them piggy banks where they can put coins and wait until they are full. You can also open a bank account for them and let them save money from their pocket money. You must always show them how much they have made to keep them motivated. 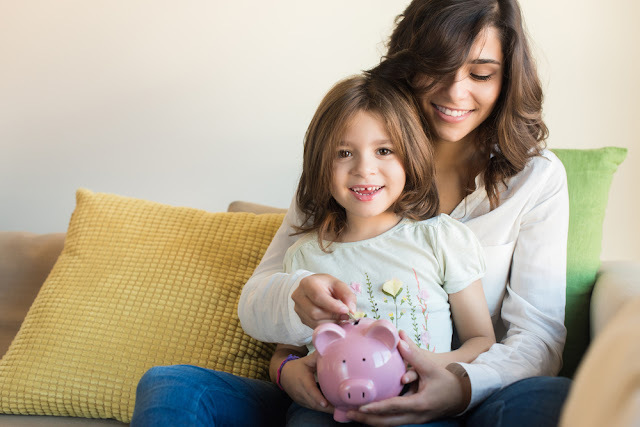 Money and savings are not something that children learn in one sitting. You must be patient in teaching them and connecting the value of money in all their activities. Children will learn this easily if you are patient and consistent in guiding them and encouraging them in this effort. 0 Response to "Tips on How to Teach Your Children to Save Money"